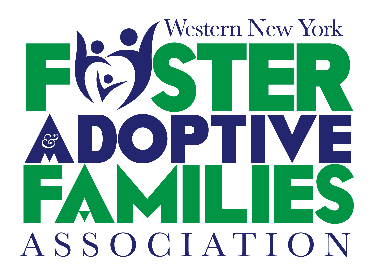 ​Western New York Foster Adoptive Families Association Inc was established in the year 2003. ​(Formerly named-Erie County Foster and Adoptive Parents Advisory Board) The Association was established to provide Erie County, New York Department of Social Services and surrounding counties foster and adoptive parents a collective voice to obtain better education and improve communication with the department and all other community systems. As of 2005, Western New York Foster Adoptive Families Association, Inc has been established as a 501(c)3 non-profit organization. issues or concerns they may need assistance with. A. Work to improve the future of children in care. C. To promote continuing education for foster and adoptive parents in Western New York. D. To educate the community about Child Welfare issues.